Facebook included some big new features in Facebook Messenger’s latest update, but they’re a little bit hidden unless you know where to look. You can pick different colors for your conversations in Messenger. 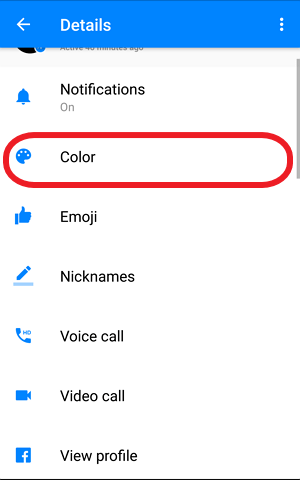 When you choose a color for a conversation, the text box will be set to that color in Messenger, on messenger.com and in messages on Facebook. Facebook is the most popular social site in the world. Now every people has a Facebook id today. Now people can communicate with their family or friends by worldwide. You can only change the color of your messages from the Messenger app on your phone or from messenger.com on your computer. You can also ask the person who changed the message color to change it back to normal. To change your messenger messages you need to do something that I am giving bellow. At first update your Messenger. Select a conversation you want to change chat color. Click top of the right corner. Choose your color and click done. 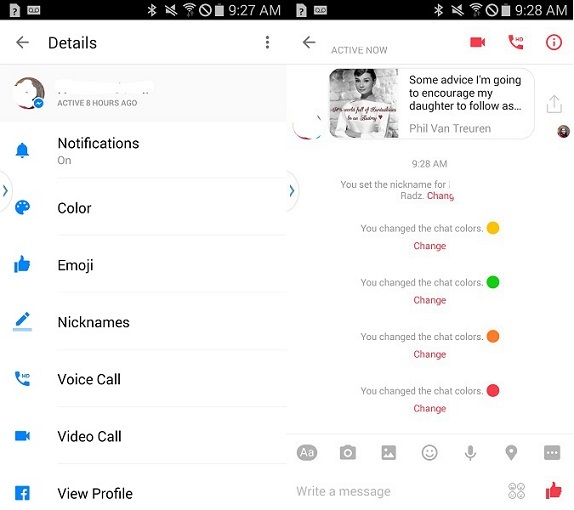 To change your messenger chat color from your computer follow the instructions. Go to messenger.com on your computer. Open the conversation you want to pick a color for. Click Change Color on the right. Pick a color for the conversation. Now I share you a another trick and that is Conversation Emoji Features. You can change your emoji very easily. Let’s know how to use it. Some of the emoji and stickers will also come with animation—if you send a snowman, Christmas tree, or other snow-related sticker, for instance, snowflakes will fall across your screen. Facebook Emoji feature is a valuable thing of facebook. You can give your updates by emoji. You can get a lot of fun with this emoji. The updates are neat features, despite making Messenger look a bit more cluttered. They could become very annoying however—anyone can switch the color and emoji at anytime. In a group message I’m in, someone changed the chat bubbles to hot pink, and the emoji to poop. The chat app turned into an assault on the eyeballs. To change your emoji from like emoji to another follow my instructions. Choose your one and replace it with the old one. You can do many things at Facebook Messenger. Now messenger used not only for chat but also many thing. If you like our simple and valuable trick then comment us or you can give us feedback.